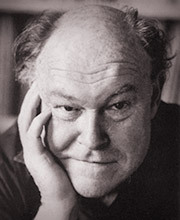 Timothy West’s numerous London stage performances began in 1959 with the farce Caught Napping. He has appeared with the National, Royal Shakespeare Company and Prospect Theatre companies playing, among others, King Lear, Prospero, Shylock and Macbeth. Among his many TV appearances are: Edward VII, Beecham, Brass and Churchill and the Generals. His films include Ever After, Joan of Arc and Villa of Roses. In 1984 he was awarded a CBE for his services to the profession. He also read the part of Chorus in Henry V for Naxos AudioBooks.